Something that I barely mentioned in the first part, mainly because I forgot about it and it was also getting way too long (and as I'm typing this I'm realizing this is going to be a lot longer than the first part), is that the main style of battles in this game is double battles. It's actually a really good idea that allows you to use a variety of different attacks and strategies you normally wouldn't go for. With that out of the way, lets get into what the sequel is all about. Gameplay wise, it's a carbon copy of Colosseum, catch the Shadow Pokemon, purify them, use them on your team, defeat the evil organization - though the game seems to ditch the darker vibes from the first game for a much cuter outlook, both gameplay and graphics wise. Gameplay wise, it's a lot more fluent and in-depth than Colosseum, though it still suffers the "giving you nothing then giving you everything all at once" issue. The game still takes place in the Orre Region (albeit 5 years later), and has a much better plot than its predecessor - the evil team Cipher is back to take over the world or whatever, and this time they've created a Shadow Lugia that is immune to purification. Then the Professor gets kidnapped and they seem more interested in finishing off his work than going to search for him, and then it turns into a mess like the previous game. So off you go, saving the world in much the same way as the first game, with a few new areas added in. Before we go too far into what the game added and changed, there's a few little extra's I want to get out of the way. 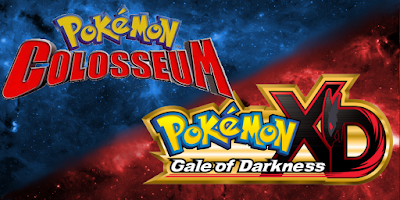 First off, in March 2005, Reggie Fils-Amie said in an interview with IGN that Pokemon XD would not be a sequel to Colosseum, and instead would be more akin to the GBA titles. Obviously this didn't happen, and the game released in Japan 5 months later, which at the time of the interview, the game would have been mostly complete so who knows what Reggie was talking about. Secondly, and more interestingly, was the games original plot. Instead of Cipher being run by Grevil, the original plan was to have Wes (the protagonist from Colosseum) be their new leader. Apparently all along Wes was evil in Colosseum and was only "doing good" for his own personal agenda. Once he took out Evice, he would take over Cipher and rebuild it from the ground up, making it his own, going mad with power, he'd snag trainers Pokemon for his own evil plan. It was then going to be your mission to stop him. However, the developers thought this might be too dark for a Pokemon game, and also didn't want to spoil the plot of Colosseum for those who played XD first, so they went with a different take, which is the one we received. 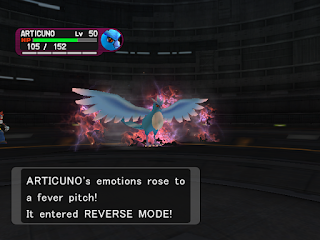 The game has a lot more Shadow Pokemon this time around, with a total of 83 as opposed to 48 in Colosseum. This adds a lot more variety to potential teams, and thankfully there are a lot of viable options - but the whole process of catching them isn't any less tedious, and a lot of the more usable ones aren't available until towards the end of the game. where it's too late to properly utilise them. With almost double the amount of Shadow Pokemon, you're going to be spending half your time aimlessly throwing Pokeballs about (and they fixed the unlimited Pokeball glitch so no more Masterball exploits). 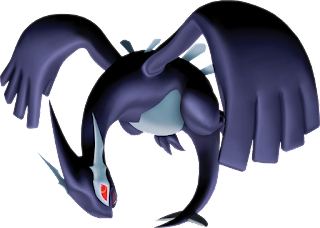 And to make things worse, some trainers have more than one Shadow Pokemon on their team, with some even having entire teams full of Shadow Pokemon. You still get a second chance capture if you want to KO them, but again, it's just as tedious. I'd recommend just knocking the Pokemon out and catching them later once you've made up your team - especially since every second trainer has a Shadow Pokemon this time around (unless you really want that Pokemon for whatever reason). Hyper Mode no longer exists and has instead been changed to Reverse Mode, losing a lot of it's uniqueness along the way (you can read about it here if you please). The infamous Shadow Rush has also been completely removed, and instead, an assortment of different Shadow Moves have been introduced, adding a lot more variety, and thankfully, none of them have recoil damage, so catching them isn't as torturous since they can't knock themselves out. However, if catching Shadow Pokemon isn't your thing, the game does introduce a new way to catch Pokemon - Poke Stops - but there's a catch. Unfortunately there are only three Poke Stops in the game, and they only have 3 Pokemon each. At the Rock Poke Spot you can catch Sandshrew, Glilgar and Trapinch, at the Oasis you can catch Hoppip, Phanpy and Surskit, and at the Cave you can catch Zubat, Aron and Wooper. These Pokemon are regular Pokemon so you don't need to go through the hassle of purifying them, and you can trade them with Duking for some decent Pokemon - a Trapinch will give you a Meditite, Surskit will give you Shuckle, and Wooper will give you Larvitar. The Poke Stops do give you a few extra Pokemon options, even if limited. It's also worth noting that in my personal opinion, the Poke Stop battle music is A+. Mt. Battle is still more or less the same, the prizes remain the same, though the hold items have been lowered by 2,000 Coupons, and Double Team has been replaced with Shadow Ball for 4,500 Coupons. There's also a Move Tutor for Mew that can teach it Faint Attack, Fake Out, Hypnosis, Nightshade, Role Play and Zap Cannon for 5,000 Coupons each. 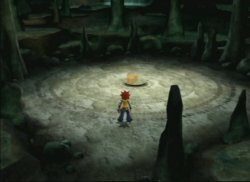 However, instead of receiving a Ho-Oh and Time Flute for completing it, this time around if you clear all 100 battles without changing your party or taking a break, you will receive one of the Johto starters with unique moves. Chikorita will know AncientPower and Frenzy Plant, Cyndaquil will know Reversal and Blast Burn, and Totodile will know Crunch and Hydro Canon. The challenge can be completed 3 times to obtain all the starters, but honestly, is it really worth it? They could have changed Mt. Battle to be a lot more rewarding, but somehow they managed to make it even less rewarding than in Colosseum. Another very minor trivial addition that's for losers like me is Shiny Pokemon. Shiny Pokemon can be obtained in both these games but they're very tedious and the chances of obtaining them are slim, and are a lot more slim in Colosseum. I'm not going to get into the odds of Shiny Hunting since it's tiresome, however, a lot of Shiny Pokemon have different colorations than they do in game (for example, Diglet/Dugtrio are a green color rather than being a tan with a blue nose). If you're interested in looking at them, check out the video below. "I obtained the hard-to-find SHADOW KECLEON! It's a trivial thing. Only the person who knows the password of this mail's title will battle. They're waiting just before Pyrite Colosseum!" "I obtained the hard-to-find SHADOW KECLEON! It's a trivial thing. Only the person who knows the password of this mail's title will battle. They're waiting at the entrance to the Shadow Pokemon Research Lab!" "I obtained the hard-to-find SHADOW KECLEON! It's a trivial thing. Only the person who knows the password of this mail's title will battle. They're waiting at the entrance to Team Snag'em's hideout!" There's also a few unused trainers from the game; Hunter Retay, Maples The Riddle-Lover, Shadow Grass Pokemon King, and the Six Shadow Aipom Siblings. All the data related to these trainers has been removed and all that exists are their titles, but there is one line that possibly alludes to the Shadow Grass Pokemon King being "Eh!? Chimecho isn't a Grass Pokémon... It's a Psychic Pokémon.". It's also possible that the Six Shadow Aipom Siblings were an early version of the Hexagon Brothers that didn't appear until XD. Sadly the majority of unused content is just strings of text hidden within the games data, so there's no physical remains of what could have been. Though the most notable piece of "unused" content would have to be the e-reader room. I say "unused" as this area could be naturally used in Japanese copies of the game, though only accessible via hacks in international copies. In the room you can battle VR Trainers, and there are three tiers of difficulty; Easy, Normal and Difficult. Once you have defeated all trainers in the difficulty, a special trainer will appear, and own a Shadow Pokemon you can snag. Easy rewards a Shadow Togepi, Normal rewards a Shadow Mareep, and Difficult gives a Shadow Scizor. Interestingly, Shadow Flaaffy and Shadow Togetic can be obtained by regular means in the game, thus making only Scizor truly unique - and that about wraps up the only interesting unused content. Sadly this all comes from Colosseum, and there isn't much to go off of with XD. Despite numerous flaws, these two games still manage to be enjoyable the majority of the time, and XD does fix a lot of things wrong with Colosseum, making a quiet enjoyable game. Whilst not perfect, they're still a great pair of games that aren't too aged by technology. I'd love to see another new spin-off RPG adventure on a Nintendo console - Shadow Pokemon or not - but with Pokemon making it's way to the Switch, it doesn't seem likely in the future. But hopefully, with time, these games will re-release on the Switch e-shop for everyone to enjoy.